I’m lucky to live close enough to the coast that I can enjoy the beach year-round. My kids and I are just a half-hour car ride from sand and surf — such a treat! Regardless of where you live, you’ll no doubt be spending plenty of time at the nearest pool, lake, or beach this summer. There’s no better family getaway… kids get to splash around, parents get to cool off, and everyone feels like they’re on vacation. For those with babies, it’s especially important to keep the little ones comfy and safe in the sun. In addition to sunscreen, essentials include a swimsuit, sunhat, and of course the cutest itty-bitty sandals imaginable. Old Navy has them all — adorable, trendy summer styles at amazing $10-and-under prices. Right now summer is on sale, so take the opportunity to stock up. Alas, my beach babies are grown, so all I can do is window-shop and sigh… these clothes are so seriously cute, they make me long for the baby days! To make beach trips easy-breezy, pick a color palette and look for pieces you can mix-and-match throughout the day: swimsuits for the morning, cozy lounge pieces for the afternoon, and something fresh for the trip home. 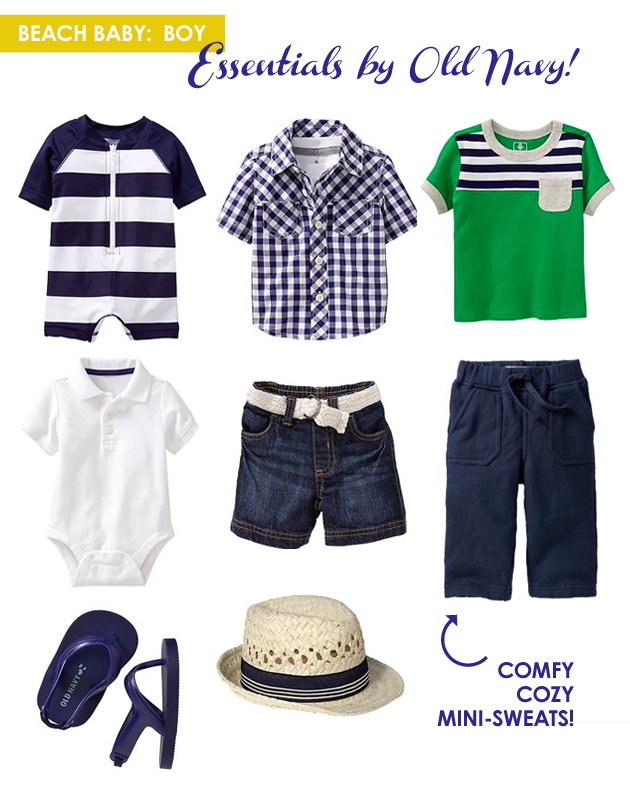 Check out these color-coordinated ensembles for girls and boys — just stuff it all in a summery tote and you’re ready to go! 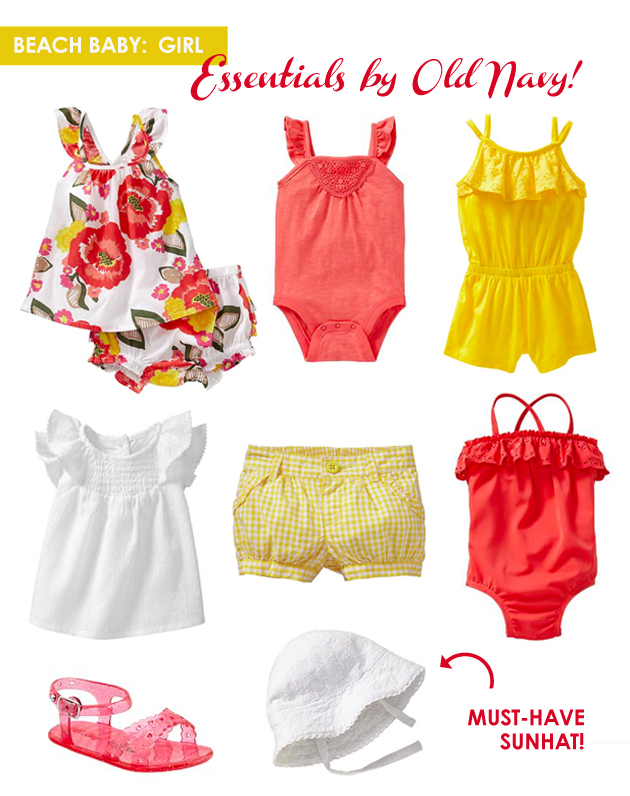 Click here to see (and score) all the amazing finds at the Old Navy sale and dress your little beach babe in style!